Brandon Sanderson, best-known for putting the finishing touches on Robert Jordan’s sprawling Wheel of Time series, has also crafted several fantasy epics of his own, including the Mistborn trilogy, Warbreaker, and the ambitious Stormlight Archive saga. 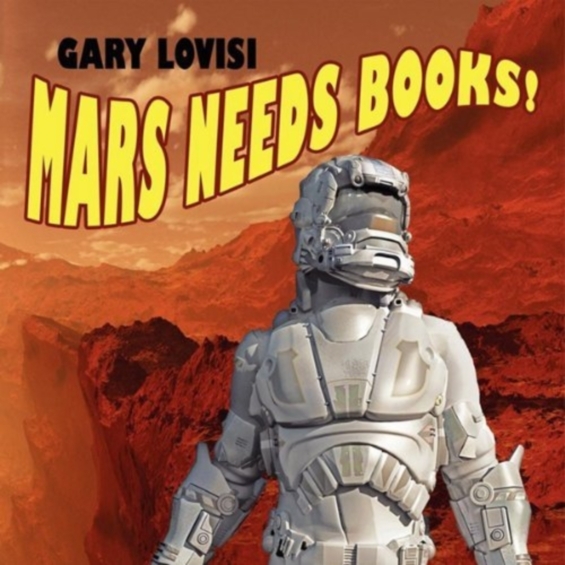 Now, with Steelheart, he tries his hand at near-future dystopian fiction for young adults. Begin customary blurb. I don’t normally post the entire synopsis for a novel, but I feel this one encapsulates the themes and tone of the book rather neatly. From the number-one New York Times best-selling author of the Mistborn Trilogy, Brandon Sanderson, comes the first book in a new, action-packed thrill ride of a series – Steelheart. Ten years ago, Calamity came. It was a burst in the sky that gave ordinary men and women extraordinary powers. The awed public started calling them Epics. 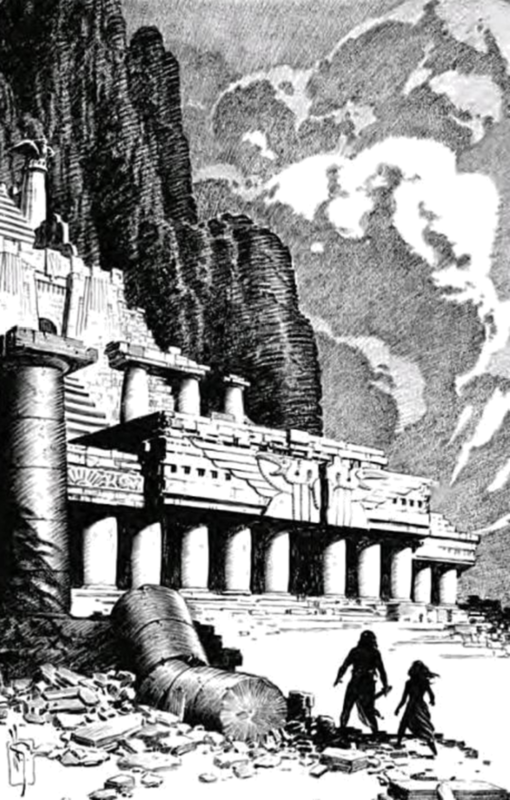 How well does Sanderson make the transition from fantasy to science fiction? Unsurprisingly, spectacularly well. This is for several reasons. First, Sanderson is a professional writer par excellence. I may not like everything he writes, but I can’t deny that it’s all of the highest quality. Second, his elaborate, sometimes byzantine magic systems, with their complex rules, exceptions, and counter-exceptions, are more akin to science. To invert Arthur C. Clarke’s axiom, any sufficiently advanced magic is indistinguishable from technology. Likewise, Sanderson’s complex magic systems are distinguishable from the impressive technologies of Steelheart in name only. 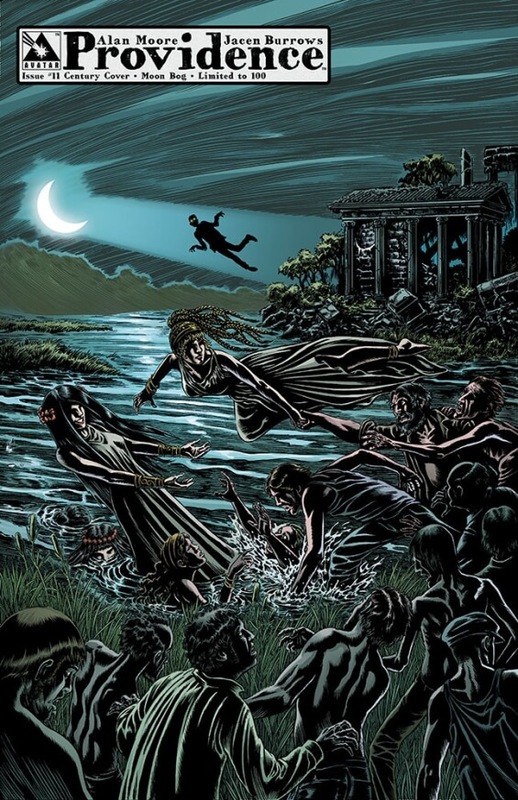 The novel’s villains, the superhuman Epics, would be at home in many of his worlds. Finally, Sanderson has experience writing for a younger audience, so he knows how to shape a story to the tastes of youth. But don’t let the YA moniker fool you; Steelheart is a deeply emotional, nuanced, and grown-up book. Only its pared-down vocabulary, simple structure, and quick pacing belie its target audience. The stakes are high. I would compare the book’s overall feel to the last few Harry Potter books. Both feature a rag-tag group of misfits fighting against unimaginable power, impossible odds, and the darkest corners of human nature. Yes, the supervillainous Epics, like most supervillains, are a cipher for the worst human qualities: arroagance, anger, deception, and hate.Any young reader who thoughtfully finishes this book will be forced to confront very grown-up questions of right and wrong, friendship, loyalty, faith, and revenge. These themes might be more boldly drawn than they would be in a work for adults, but they’re not so boldly drawn as to stray into the dangerous realm of caricature or didactic. I have only one minor but frequently recurring complaint about Steelheart. As a disciple of Robert Jordan, Sanderson likes to use elements from the world as curses and expletives. So, the characters are frequently heard to exclaim “Calamity!” after the red comet hovering in the sky. “Sparks!” is another oft-repeated expletive. In my view, Battlestar Galactica‘s “frak” is the only expletive to pull the effect off convincingly. In Sanderson’s works, as in Jordan’s, the device feels contrived, and jolts me right out of the narrative. The only thing that makes this offense remotely excusable is that the book is intended for the innocent eyes and ears of younger readers, but I still think Sanderson could have found a better way. Macleod Andrews makes Steelheart a joy to listen to. He flows effortlessly from the youthful voice of protagonist David, to the gruff voice of the Prof, leader of the Reckoners, to the booming voice of Steelheart himself. Some audiobook connoisseurs might find his narration a tad melodramatic, but I can imagine younger readers reveling in Anderson’s adrenaline-fueled rendition of the action scenes. 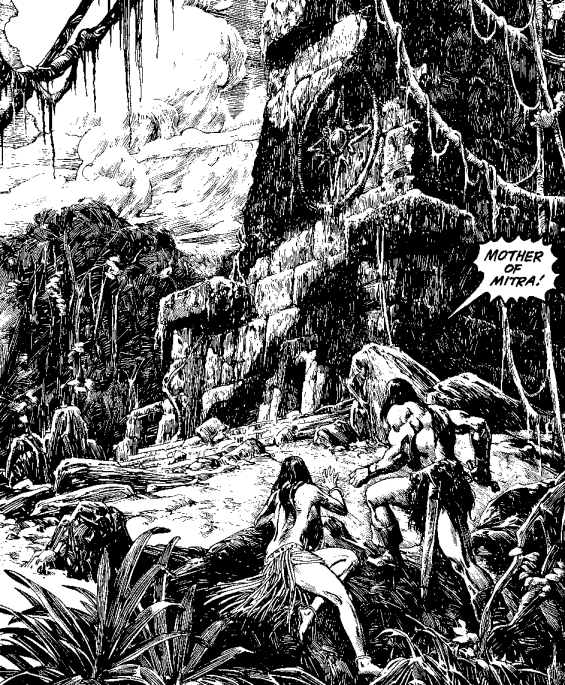 He also lends a light air of levity where it’s appropriate, counterbalancing the novel’s dark themes and bleak setting. 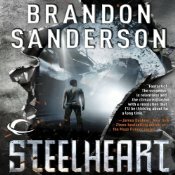 Steelheart is the first novel in a projected series, but Brandon Sanderson’s a busy guy with about a dozen anvil-sized irons in the fire at any given point in time. So I don’t know when a sequel will be forthcoming. While Steelheart neatly wraps up the main questions raised in the book’s early chapters, it still leaves plenty of room for exploration. What is Calamity? Was it really responsible for the rise of the Epics? What’s happening elsewhere in this wide, newly-devastated world. I can’t wait to find out. I’ve wanted to read Carrie for a while now. It’s one of those iconic works that you’re compelled to read, more out of a sense of obligation to the author’s craft than a product of individual literary desire. I’m not one of those Stephen King aficionados that could play King Trivia and know every answer. I’ve read some of his books, and most of those have been fantastic. Some weren’t. Truthfully, I’d love to sit down and just talk shop with King. Just to be able to shoot the breeze about writing, the shape of a story, how to switch tense to make something pop, and a load of other stuff that most likely doesn’t blow the hair back for that many folks. Stephen King has a knack for drawing a character that evokes empathy from the reader. I can’t say I enjoyed the question and answer portions, the jagged breakaways from the main narrative flow, or the investigation that lies at the far end of this story. But I love how King slows down a scene, making time stretch beyond normal, beyond the pocketful of seconds, far past the internal clockwork of mind can account for in a passing moment. I also really appreciated some of King’s choice of language. And I’m giving King bonus points for quoting Dylan lyrics, thanks Stevie! I don’t believe it’s a secret that there’s blood in this story. There’s also murder and violence. What most surprised me was my reaction to the scene with the pigs. I won’t go into detail here, but this scene evoked the most emotional reaction for me, and I found this interesting. I had and felt compassion for Carrie, but the part with the pigs and potato chips stood out like broken glass under a bright moon. Sissy Spacek as narrator does a solid job. Her delivery is dependable, and she does not try to act the story. She does not insert herself as a character in her reading. I was able to hear a slight amount of audible feedback in this audio rendition, and am disappointed that the sound engineers didn’t clean the tracks up before distribution. This audiobook is prefaced with a few words from Stephen King. He gives a little background to how Carrie was saved from the dustbin, and how its publication came just in time. I for one am a fan of Stephen King speaking about his history and life, and so I enjoyed this little introduction. I find King’s voice pleasant and easy to listen to. 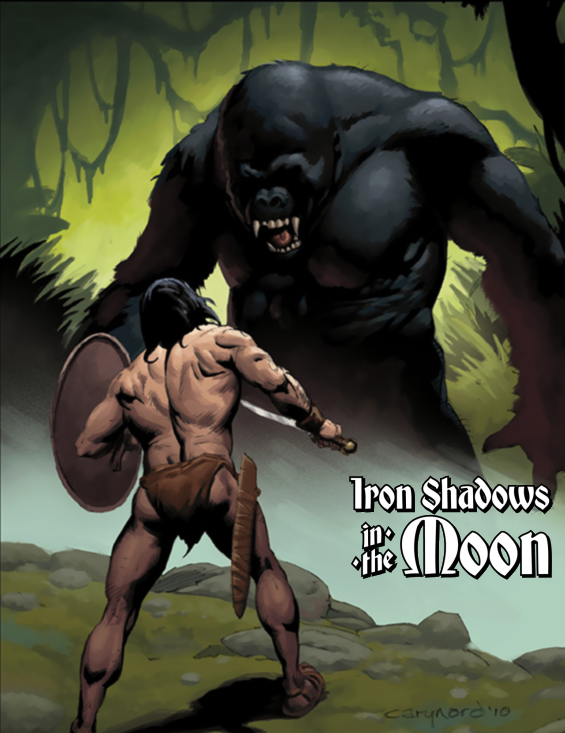 Though Robert E. Howard had originally titled this Conan adventure “Iron Shadows In The Moon” it was actually first published under the title Shadows In The Moonlight. Current publications, and adaptations, tend to favour Howard’s original title. 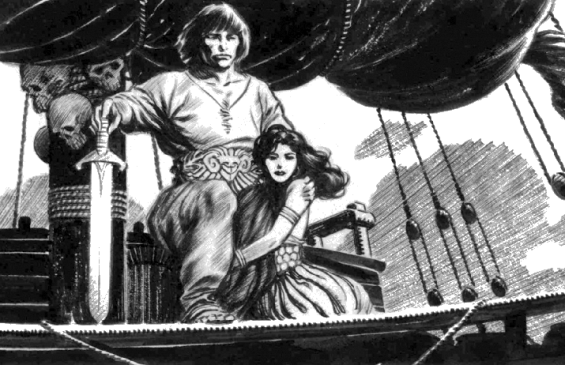 But either way the novelette, featuring a shipload of pirates, a shapely maiden, and a giant ape, makes for some very good reading. 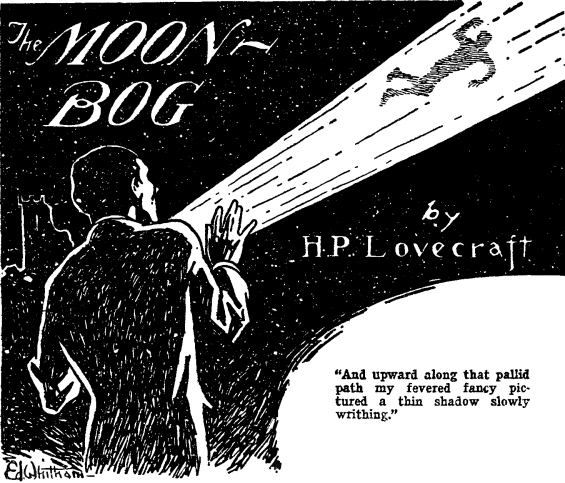 First published in Weird Tales, April 1934. I have a sudden desire to eat Uncle Ben’s rice and buy a 1976 Buick. 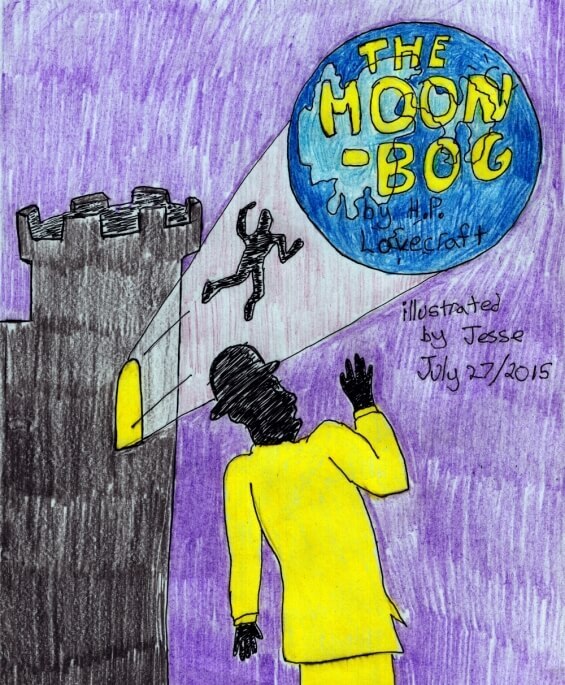 Yes folks I’ve been listening to more CBS Radio Mystery Theater. 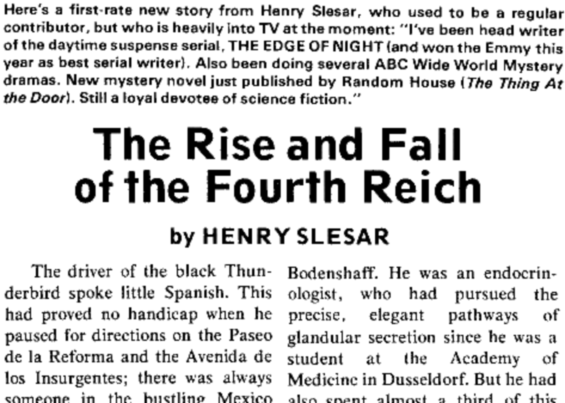 The episode this time was called The Rise And Fall Of The Fourth Reich and was written by Henry Slesar. Slesar was an interesting writer. He wrote in nearly every capacity that a writer can. Being a copywriter (he apparently coined the phrase “coffee break”). But he wrote plenty of fiction too. He was the head writer on an intriguing sounding daytime soap opera (a thriller series modeled after Perry Mason books), he wrote movie screenplays, TV movie scripts, mystery novels, and dozens of radio dramas. But he also wrote a lot of SF short stories – and that’s where things get a bit murky because I’m actually not sure if this story was an adaptation of the text, or if the text was an adaptation of the play. The play of The Rise And Fall Of The Fourth Reich aired first, being broadcast in the spring of 1975. 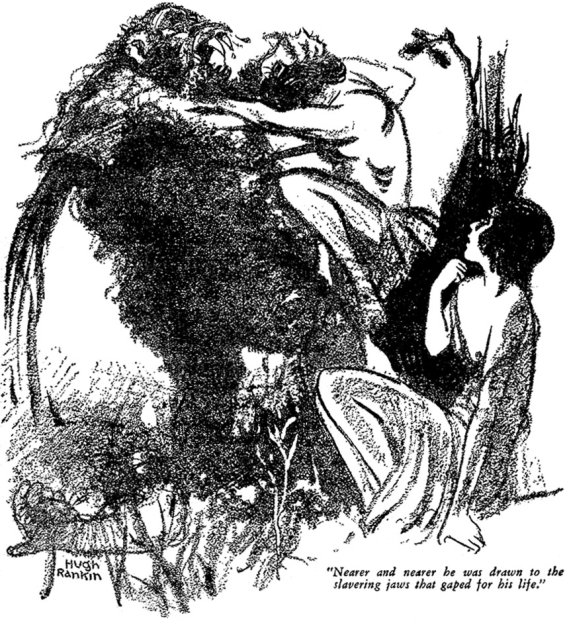 But the short story of the same name came out shortly thereafter in F&SF. For our purposes I guess it doesn’t really matter too much either way because the only version of the story available in the audio format is the CBS Radio Mystery Theater play. Set in Mexico, in the 1970s, the storyline isn’t radically dissimilar from the 1976 Ira Levin novel The Boys From Brazil (later to be made into a film of the same name). I enjoyed the plotting, which features both the quest for immortality, the fruit of horrific Nazi experiments, and most of all the desire for revenge. A Nazi fantasy? 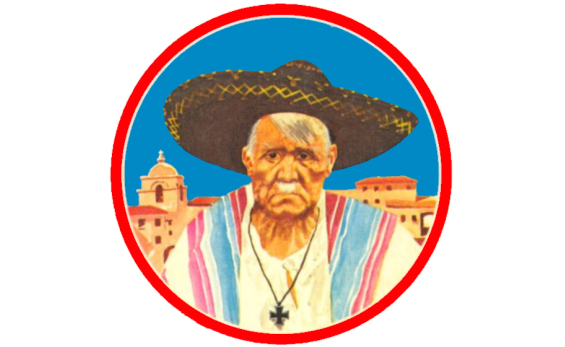 In this weird tale, two scientists discover an aged and sickly Adolf Hitler in 1970’s Mexico City. They begin to try and restore his health and youth through their experiments. First published in The Magazine of Fantasy and Science Fiction, August 1975.